Small Luxury Hotels of the World (SLH) welcomes five new exciting additions, including three newly opened properties, to its portfolio of luxury boutique hotels this December. Explore the different sides to New York, Paris or London, take in the tranquil Mediterranean views in Marseille or stay in a former Spanish monastery home to renowned Montsant wines. The Frederick Hotel, New York City, USA. 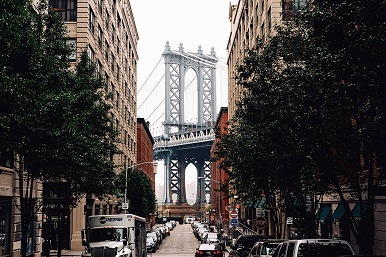 The Frederick Hotel is a glimpse of New York grandeur. This landmark gothic revival building has been welcoming guests since 1845. Now, a step through the doors reveals a luxury hotel immersed in TriBeCa’s culture. 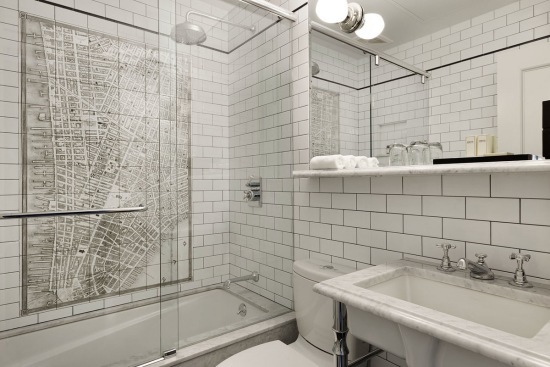 Rooms and suites fuse elements of mid-century-modern furnishings and art-nouveau inspired details set against a minimalist, neutral colour scheme (like the shower pictured above). Beds are made up with luxurious Frette linens that beckon you to dive right in, C.O Bigelow toiletries and bathtubs all add an extra touch of indulgence. Unwind in privacy or step down to the hotel restaurant, Serafina, for all-day Italian dining. The handmade pasta and signature truffle-topped pizza is not to be missed. 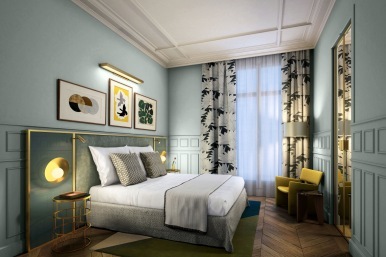 Hotel Grand Powers, Paris, France – Opens January 4th 2019. At the heart of the bustling Golden Triangle in Paris’ eighth arrondissement close to the Champs-Elysees, Hotel Grand Powers has been welcoming travelers from around the world for more than a century. Following a complete transformation, the new five-star hotel will officially open at the start of 2019. Original features such as moldings and marble fireplaces are complemented by bespoke furniture and striking contrasts between stone and fabric. Rooms and suites make the most of classic Haussmann proportions, with high ceilings and large windows – some even have balconies and Eiffel Tower views. Step out to explore the city and return for a massage or hammam bath at the Thala Spa. This peaceful haven comprises a huge jacuzzi, steam room, sauna, 24-hour gym with the latest Technogym innovation and a treatment room. The Franklin, London, UK. A stay at The Franklin means a trip back in time to a bygone era, where designer interiors by Anouska Hempel seamlessly blend La Belle Epoque style with modern-day sensibilities. 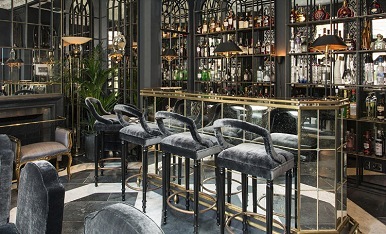 Located in London’s leafy Knightsbridge neighborhood and sister hotel to SLH’s Hotel D’Inghilterra, The Franklin is just the right side of opulent with refined velvets and patterned wallpapers creating a sophisticated space. Whether you select a Deluxe Room with a mirrored four-poster or the one-off grandeur of the Presidential Suite, expect a bedroom that is as restful as it is refined. Upping the relaxation levels, downstairs a hammam is a blissful way to end a day spent walking the royal parks and galleries of London. Dinner is served in The Franklin Restaurant, where Italian influenced menus by Michelin-starred Alfredo Russo give seasonal ingredients star billing. For a pre-dinner experience to remember, you can even enjoy a cocktail masterclass with award-winning mixologist Salvatore Maggio. 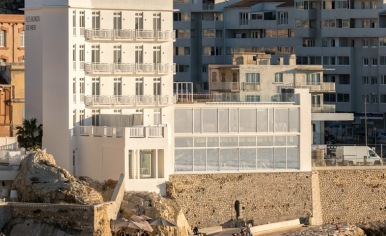 Hotel Les Bords de Mer, Marseille, France – Opened December 1st 2018. Standing beside Plages des Catalans and just a short walk from the old town, this boutique retreat is immersed in Marseille life. Its gleaming white exterior complements the blue of the sea and the sky, which stretches out endlessly in front. Spellbinding Mediterranean Sea views are the star of Les Bords de Mer’s rooms and suites. Depending on your room, you could take them in from huge bay windows, or from your private balcony or terrace. Inside, pastel hues and pale, natural wood complement the clear Cote d’Azur light that drew so many painters to the region. Spend the day unwinding beside the rooftop pool or out exploring the city. The hotel is SLH’s first in Marseille and offers cultural tours of the old town, as well as excursions further afield – from boat trips to Calanques National Park, to wine tours of the Luberon. Terra Dominicata, Priorat, Spain – Opened August 2018. A sense of peace seems to arise the moment you arrive at Terra Dominicata. Originally part of a Dominican monastery, the hotel immerses you in the heritage of its ‘holy mountain’ setting. The calming colour palette of earth tones complements the minimalist furnishings in the spacious rooms and suites, including original stone walls that tie these spaces to their past. 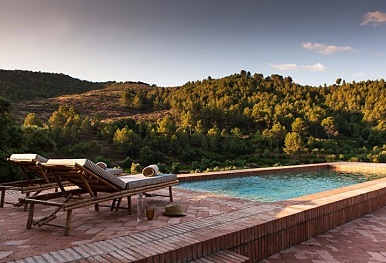 Outside, warm terracotta tiles lead you to the pool, where swims come with Montsant Natural Park views. To take a closer look at your surroundings, set off hiking through the rugged scenery or visit the ruined monastery in nearby Escaladei. Back at Terra Dominicata, the tables at Alma Mater are laid for dinner. Dine in the impeccably styled restaurant or choose a table out on the stone terrace and feast on modern takes on traditional produce and recipes.